Barrie Davies will be returning to his musical roots when the Morriston Orpheus Choir performs at the Princess Royal Theatre, Port Talbot on Saturday 11 November 2006. As the current Chairman of the Morriston Orpheus, one of Barrie�s first concerts after joining the Orpheus some 14 years ago was at the Princess Royal Theatre.� In the intervening period the Orpheus has travelled extensively, both in the United Kingdom and overseas, but has not returned to Port Talbot. �When I became chairman, I decided that I wanted to do something to mark my year in office. What better way than organising a concert for the good folk of Port Talbot.� So I set about putting things in place to bring about a concert in my home town, the town where I attended that great seat of learning - Glanafan Grammar School. The town where I misspent my youth at The Odeon and Plaza cinemas and where I learned to play snooker at the British Steel Club.� I'm looking forward, with great anticipation and also with a degree of trepidation, to this concert. I want so much for it to be successful especially as it takes place on the eve of Remembrance Sunday�. 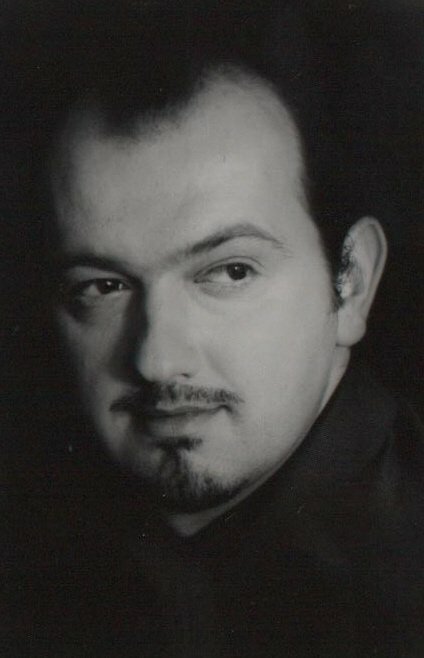 The concert will feature Adriano Graziani, Tenor.� Doors open at 6.15 pm for the concert commencing at 7.00 pm.� Tickets: Circle at �10, Stalls �7.00 are on sale at the Princess Royal Theatre, Port Talbot or may be ordered by telephoning Barrie Davies on 01639 645210. Adriano Graziani, a Tenor originally from Neath, now living in Rochester, Kent,� began his studies with a private based teacher in London, after entering numerous competition's at local music festivals, he decided to� apply for the �2004 International Eisteddfod, Llangollen�, Wales� where he thoroughly impressed the top adjudicators and took second place in the vocal solo competition. He then decided to take his studies further and was accepted by the Royal College of Music, London to study as a full time student. Adriano was also a finalist at the �Young Welsh Musician of the Year� competition 2005. He has performed with Kentish Opera and was also the winner of the �Beckenham Young Musician of the Year� competition in 2003. Adriano took part in the �Artists Development Programme� in Wexford, in 2005 a new initiative established by Wexford Opera to coach and train up to 20 talented singers who are in the early stages of a professional operatic career. Most recently Adriano was a finalist at the 2006 �International competition for Lyric Singers in Italy. He was awarded second place at the �Concorso Internazionale di Canto Lirico� in Orvieto , Umbria.� He has also been asked to return and debut for the �Teatro Mancinelli� next year. Adriano has recently finished two years of study at the RCM, under the tutelage of international tenor Mr. Ryland Davies.